GSMArena team, 23 January 2019. Honor's View lineup is back and significantly better than before. For starters, it's got a much more attractive glass back and metal frame while the front no longer has a notch of any kind. The back of the phone is ultra-shiny and easily one of the best-looking smartphones around. 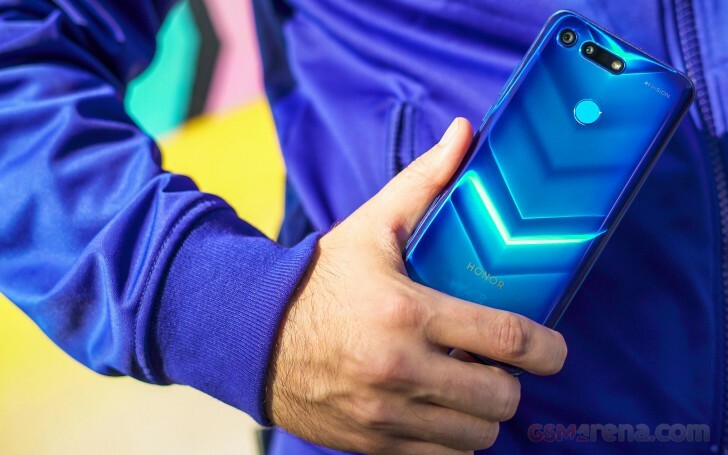 Honor has innovated on pushing the glass back cover into something more and we love what it has come up with. Like the View 10 last year, the View 20 (known as V20 in China) is one of two counterparts of the latest Huawei Mate phone. The Honor Magic 2 has most of the Mate 20 Pro's features like the in-display scanner, 3D face unlock and triple camera, but the View 20 keeps only the essentials while offering an exceptional bang for your buck. Though it isn't a triple camera, there is a dual camera consisting of a new 48MP Sony sensor and a new ToF (Time of Flight) sensor instead of a secondary camera. It is one of the first smartphones to use this new 48MP camera sensor and we can't wait to see what kind of pictures it can take. Honor already held a Chinese launch event back in December to announce the phone in the company's home market. The company held a second launch event in Paris to announce global availability outside of China - today marks the launch of the phone on more than a dozen markets internationally. 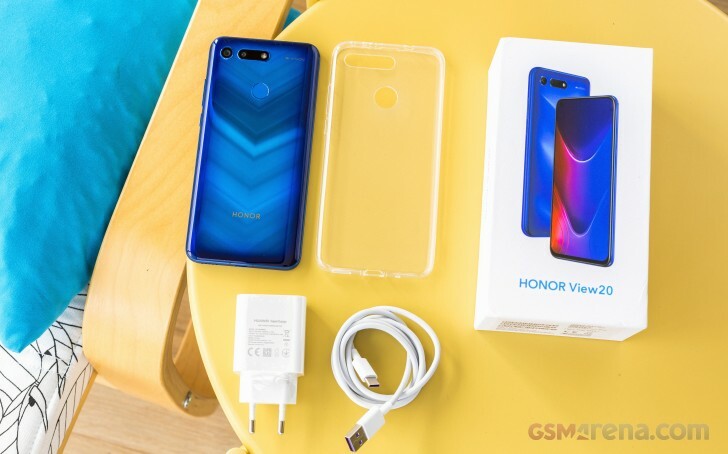 The Honor View 20's retail box isn't an all-teal box as many previous Honor phones. Although it's got more color on the box, the packaging and contents are pretty much unchanged. The phone comes with the essentials: nothing more, nothing less. Upon lifting the top of the box, we are greeted by the phone's display. Which isn't very exciting when the phone isn't powered on. 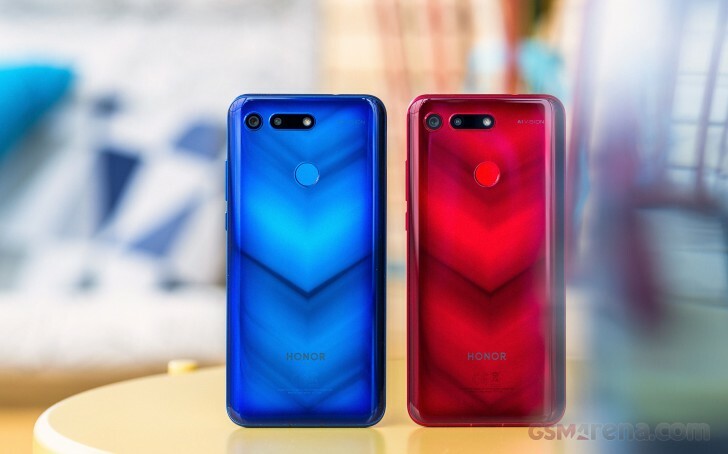 We think the missed opportunity here is that Honor could have positioned the View 20 so that its gorgeous rear glass could make the very first impression. Under the phone is a flat box which holds the SIM tool and a bonus transparent case. Beneath this box lie the 22.5W Huawei Super Charger and a USB-C to USB-A cable. It's worth noting that you'll need to use the included cable to achieve the charger's full power output. Now that we've taken a look at what comes in the box, let's take a closer look at the phone's design.